Question: What PSI (Strength) do I need? Question: How many yards do I need? Answer: Get your measurements and Length/Width/Thickness and call us or use our Concrete Calculator here. Question: Do you deliver to me? Answer: We travel a maximum or 40 miles from Cliffwood, NJ. In terms of counties we roughly cover Ocean, Monmouth, Middlesex, Somerset and Union County, NJ. Question: How does it come off the truck? Answer: The shoot extends 10' off the truck and we have an extended 12' for a small fee. We do not offer pump truck services but if you hire a pump truck we can work with one. Question: How much is the Saturday delivery charge? Answer: There is a $150 Saturday delivery charge. 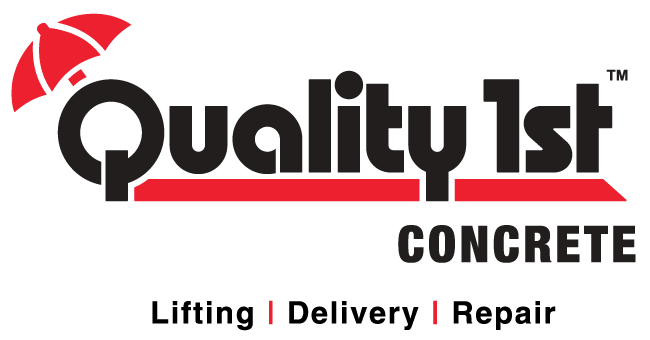 Question: Can I pick up concrete from Quality 1st Concrete? Answer: Yes you can. Just call ahead and we'll take care of you. Question: What additives do you have? Answer: We can add accelerator and fiber to our concrete for a small charge? Question: Why do you use you a barrel truck? 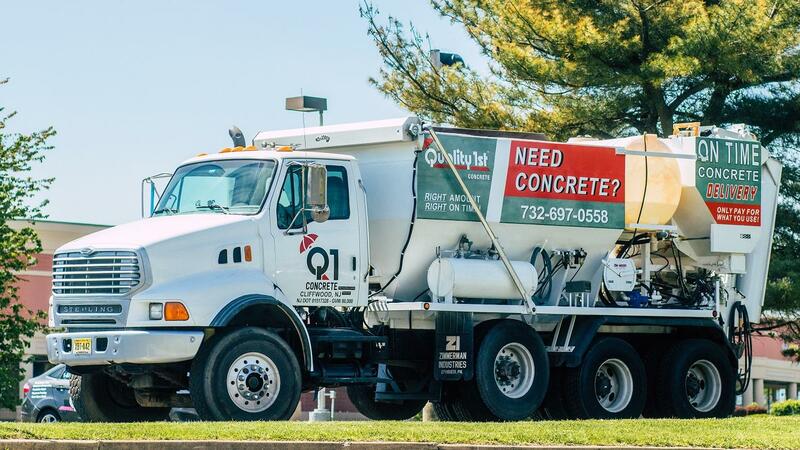 Answer: We make our concrete fresh on the site and you only pay for what you use. 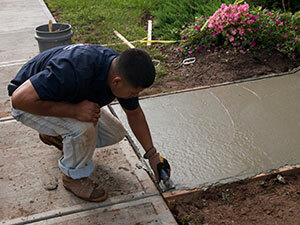 We do not dump any excess concrete that you have to pay for and clean up. With fresh concrete made on-demand we excel in slow pour jobs, where with a barrel truck the concrete will be sitting for hours. Question: Do you do Night pours? Answer: We absolutely do Night pours, just contact us at 732-585-7113 for pricing and scheduling information. We're ready to pour for you 24 hours a day, 7 days a week for just $1350. Just call ahead to get scheduled at 732-585-7113.